My love of Sir Arthur Conan-Doyle’s crime novels began when I was 14 and the school’s fiction library was converted into a classroom. With nowhere to move the collection of dusty novels to, the books stayed and the desks arrived. During wet lunch times, I read about Holmes, Watson and Moriarty, and immersed myself into the world of the violin-playing, opium-taking detective. Years later, a re-read of the ‘Hound of the Baskervilles’ inspired me to rewrite the mystery as a game, adding new characters and changing the ending. I loved Holmes’ rather pompous, superior tone and Watson’s unfailing loyalty to his temperamental friend – they are such rich characters to work with. When I tried the game out with friends, their enthusiasm knew no bounds. A guest who played ‘Hurrymore’ turned up sporting the most amazing bushy beard and carrying an ear trumpet. He maintained his character all evening, shouting “Eh?” every time he was asked a question. The story of the ‘Hound’ has been enduring. Since it was first published in 1902 there have been over 20 film and television adaptations. More recently Conan-Doyle’s stories have been adapted for the brilliant TV series Sherlock. Who can resist watching the talented Benedict Cumberbatch and Martin Freeman as they bring the characters of Sherlock Holmes and Dr Watson to life? TV heaven! 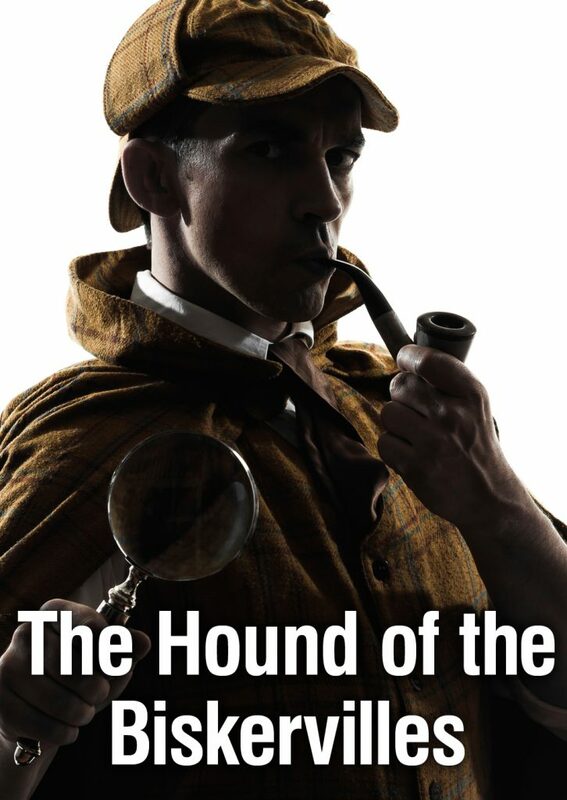 You can find “Hound of the Biskervilles” – Michelle’s Sherlock Homes inspired game on the website as a small group dinner party and murder mystery for large groups.